Max Martin Robyn is a Swedish pop singer who had the massive hit Show Me Love and Do You Know What It Takes. 11 Army of Lovers 5. Time Machine Music by Max Martin and Shellback. Lyrics by Max Martin, Shellback, Sophia Somajo, Robyn, Klas Åhlund. Produced by Max Martin and Shellback. 13 Ashley Parker Angel 6. Love Kills Music by Robyn, Klas Åhlund, Måns Glaeser and Carli Löf. Lyrics by Robyn, and Klas Åhlund. Produced by Klas Åhlund and Savage Skulls. 17 Bo Bice 8. Call Your Girlfriend Music by Klas Åhlund, Robyn and Alexander Kronlund. Lyrics by Klas Åhlund and Robyn. Produced by Klas Åhlund. Co-produced by Billboard. 25 Celine Dion 12. Dancehall Queen Music by Klas Åhlund and Thomas Pentz. Lyrics by Klas Åhlund. Produced by Klas Åhlund and Diplo. 29 Cyndi Lauper 14. In My Eyes Music by Robyn, Kleerup, Klas Åhlund. Lyrics by Klas Åhlund and Robyn. Produced by Kleerup. 47 James Blunt You will already know the songs Show Me Love and Do You Know What It Takes, huge hits for Robyn and Show Me Love is still played a lot on radio! 56 Lambretta 4. 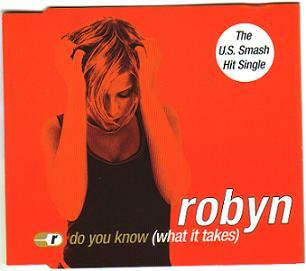 Do You Know (What It Takes) Music: Robyn/Denniz Pop/Max Martin/Herbie Crichlow. Lyrics: Robyn & Herbie Crichlow. Produced by Denniz Pop and Max Martin for Cheiron Productions. 61 Living Things 6. Show Me Love Music: Robyn/Max Martin. Lyrics: Robyn/Max Martin. Produced by Denniz Pop and Max Martin for Cheiron Productions. 67 Michele 9. Do You Really Want Me (Show Respect) Music: Robyn/Lindstrom/Ekhe. Lyrics: Robyn. Produced by Ulf Lindstrom and Johan Ekhe. 71 NSync 11. 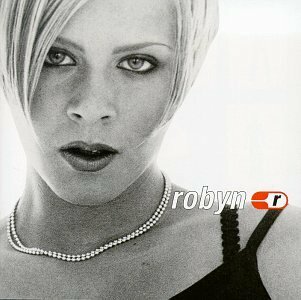 Here We Go Music: Robyn/Anders Bagge/Harry Sommerdahl. Lyrics: Robyn. Produced by BAG and Slick Harry at Polar and BAG Studios. 75 Pitbull 13. I Wish (A Cappella) Melody & Lyrics: Robyn.